The evangelist John adds this remark to indicate that Christ is true God and, therefore, more than flesh and blood, since He knew in advance who would and who would not believe. He knows more than man. He is also a judge over the hearts and recognizes, judges, and passes sentence on the thoughts of man. 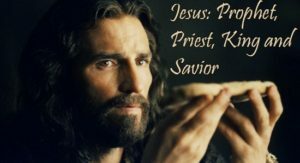 Therefore John says: “Jesus knew from the first.” He does not say that it was revealed to Him, as it came to the prophets by revelation what they should know and preach. No, it was known to Christ in His Person, without vision, enlightenment, or revelation. Thus St. John describes Christ, saying that He is man, to be sure, but not overlooking the fact that He is God.